Hi MSV readers, I'm sending a friendly reminder about my re-election fundraiser tonight at 6:30 pm at Hoboken's new restaurant, Porter Collins (1426 Willow Ave). 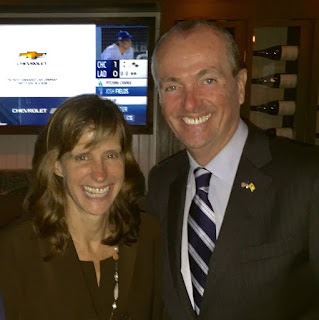 I'm thrilled Phil Murphy, Democratic candidate for Governor, will be attending as my special guest and I hope you can join us as well. Please feel free to RSVP here or email me at MayorDawnZimmer@gmail.com to let me know if you can make it. As always, thank you for your support. I hope to see you on Monday! Krime spree of the Century?